My post this week comes out of a blog prompt from Sufficient Grace Ministries and is a continuation of Alexander's birth story that started two weeks ago and continued last week. Everything is a bit jumbled by way of what order it happened in. Alexander Michael Armes was silently born at 5:42 am on February 10, 2011. He weighed 6 lb 10 oz, was 20 inches long and had sandy brown hair. The nurses took him, cleaned him up a bit, wrapped him in a blanket, placed a knit hat on him and placed him in my arms. I don't think I looked at him at first. I just held him and felt his weight cradled in my right arm. They said he probably would have been closer to 8 lbs if he had been alive, he had lost water weight. He felt so good in my arms, but it was a limp weight. I long for the squirmy weight of my living son in my arms, his little hands reaching up to grab hair and face. I still do. He was hard to look at, at first. Our earthly bodies are so delicate and begin to deteriorate the minute we die. Alexander had been gone for a couple days. He was bruised and broken. |My mother said "Oh, honey he is beautiful." Just as if he had been alive. I looked at him more carefully. He was beautiful. His nose was smashed but I think it was his daddy's. His daddy says it was mine. His cheeks were chubby just as all babies' cheeks should be. I held him for a while then I offered him to my husband. He wasn't sure if he wanted to hold or see Alexander, but he did. I think we are both glad of it. He held him for a short time. My mom and my dad also took turns holding him. I had brought a pajama/outfit to dress him in. It was supposed to be his coming home outfit. I also had brought a supper soft organic cotton receiving blanket to wrap him in. So my mom helped me unwrap him from the blanket the nurses had put him in. We looked at his little body. It was perfect. Long arms and long legs just like his mommy and his daddy. He had my hands with long tapered fingers, hands of an artist. He had these feet like large wedges. My mother-in-law told me later they looked like my husband's dad's feet. His feet and hands were so big. His feet were over 2 1/2 inches long. If babies are anything like puppies and grow into their feet he was going to be a big guy just like his daddy. We carefully dressed him in his outfit and wrapped him in his blanket. I didn't wrap him in his blanket that I had made, because I didn't want to get it dirty and it is so big. I wish now I had laid him on it to take pictures but I didn't think I wanted pictures. I had seen this exhibit of Victorian Death Photography when I was a child. I thought it was so weird to take pictures of people after they were dead. I really understand it now, especially when those are the only photos you will ever be able to take. The nurse offered to call a photographer from the Now I Lay Me Down To Sleep Foundation, a wonderful foundation that offers free professional photography to families of stillborn or very sick infants. I turned it down. I didn't want to remember Alexander as dead. I did ask for foot prints, hand prints, and a lock of hair. One of the nurses spent so much time getting good hand prints for me. 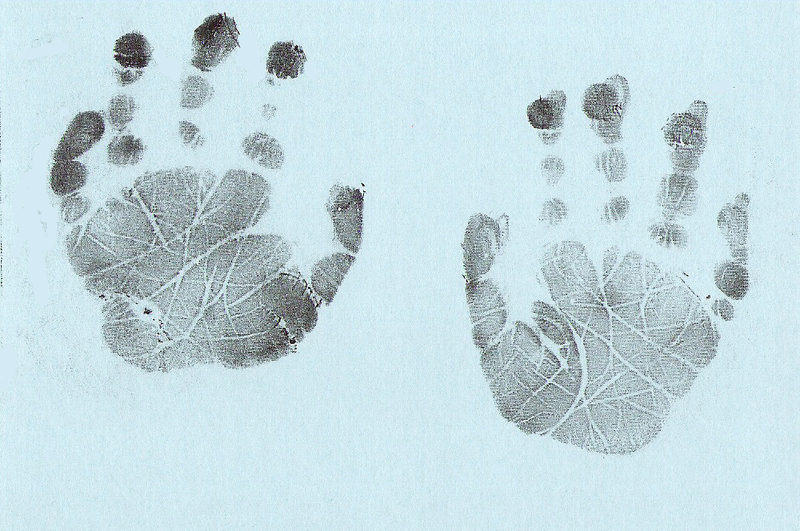 Alexander's fingers kept curling, but with the help of my mom they were able to get good hand prints for me. 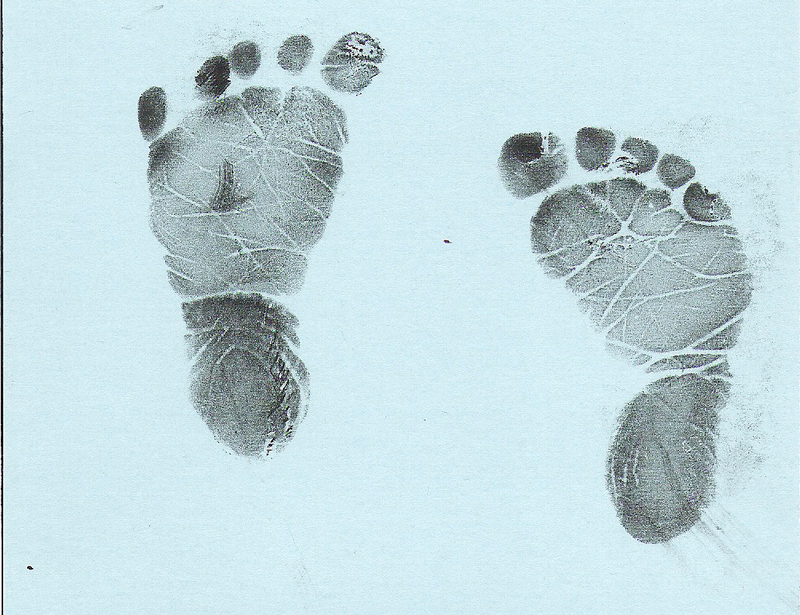 I love those little hand and foot prints. She also convinced me that I wanted photos of his hands and feet. She also took a few of his face and placed them in a memory box for us. She said they were there if I ever wanted them, but I didn't have to look at them if I didn't want to. I'm so glad I have them now. I wish I had one of me holding Alexander. I didn't actually hold him or cuddle him that much. I held him for a while and then had him placed on the baby cart where they measure the babies. I wanted him with me in my room, but I didn't feel the need to hold him. He wasn't there. It was just a body. He was already being held by Christ. I did get up, walk over and look at him resting peacefully several times. He was so beautiful and it broke my heart to look at him. My pastor came in. She asked if she could look at him. Of course she could. She prayed with us some more, and I asked her to put a rose on the alter that next Sunday, just like they did for all the other babies that were born in the congregation. She asked me pink or red. I said red. My dr. came to see how we were doing, even though she wasn't on duty for labor and delivery that day. She gave us a note for our memory box. The nurses brought in a beautiful paper box/coffin made of handmade paper that had flower petals and leaves in it. She arranged Alexander's body in it and left it open for us. I didn't want him shut in a box or taken by the funeral home until after we had left. I was antsy. It seemed like I had been waiting so long to labor and give birth and now I was waiting to go home. The let me go home that afternoon. My body was doing really well. We got everything together. My dad took my bags out to the car. I got into the wheel chair and then couldn't find my husband. He appeared shortly. I asked him what he had been doing. He said he was saying goodbye. I stood up. I couldn't believe I hadn't said goodbye. I walked back in the room, and kissed Alexander for the first and last time. The nurse wheeled me out of the hospital holding a small purple box and an empty blanket instead of my baby boy. I wondered if people who saw me knew about my broken heart. Leaving with empty arms was the hardest part. It made it final. My baby was with Jesus. Alexander spent his short life on earth entirely in my womb. His life changed our lives forever. What sweet memories of your Alexander. 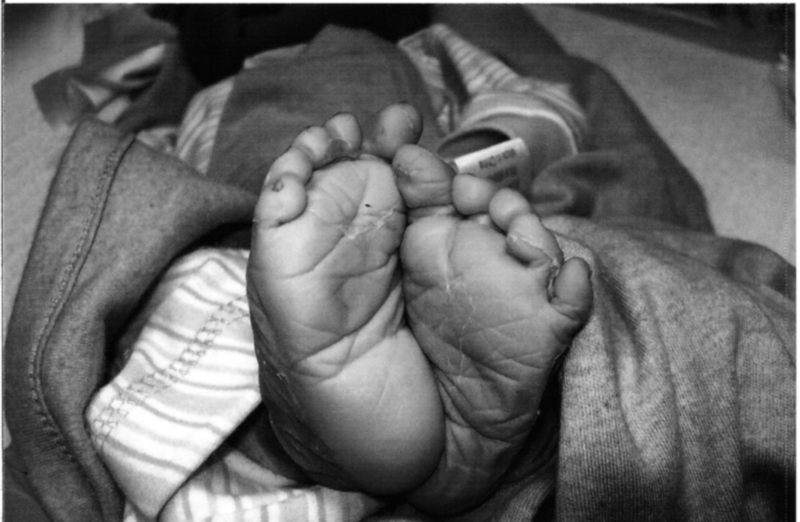 His feet are precious. Sorry that you are on this journey and missing your sweet son. Praying for you!! I felt the same way about the pictures but treasure the pictures the nurses took, but also wish I had one of me holding him. Thanks for sharing your story. Praying for you! I wish so much that I had more pictures. But, we do what we do in those moments. We walk through them the best we can. The hardest part of that time for me was also leaving the hospital with empty arms. Thank you for sharing your Alexander with us. I love his hands! Beautiful! Thank you for opening your heart to us. I'm here from Walking with You...thank you for sharing Alexander's birth story. You wrote it so beautifully. The pictures of his hands and feet are precious. I especially love his feet...so gorgeous. 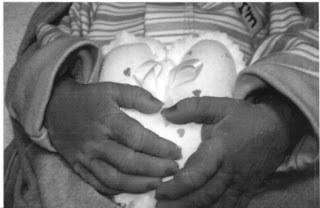 My son was also stillborn and I can relate to many things that you wrote. I'm glad you have the pictures you do of your precious boy. The things we have to remind us of them really are priceless.